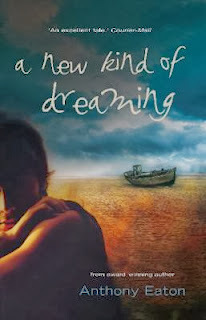 A new kind of dreaming is a beautifully written, exciting mystery set in outback Western Australia. It tells the story of Jamie, a petty criminal, who is shipped off to the remote mining town of Port Barren for juvenile detention. When he discovers a wrecked boat on the beach and starts asking questions, Jamie comes to the notice of the local cop, who goes out of his way to make Jamie's life miserable. Jamie soon realises that Port Barren has a dark story it's inhabitants do not want to share. As he asks questions and comes closer to the truth, Jamie find himself in grave danger, and has to face the harsh elements, the corruption of others and his own response to right and wrong. A story I could not put down!